A special blend of beeswax and food grade mineral oil to help prolong the beauty of your handcrafted cutting Board. 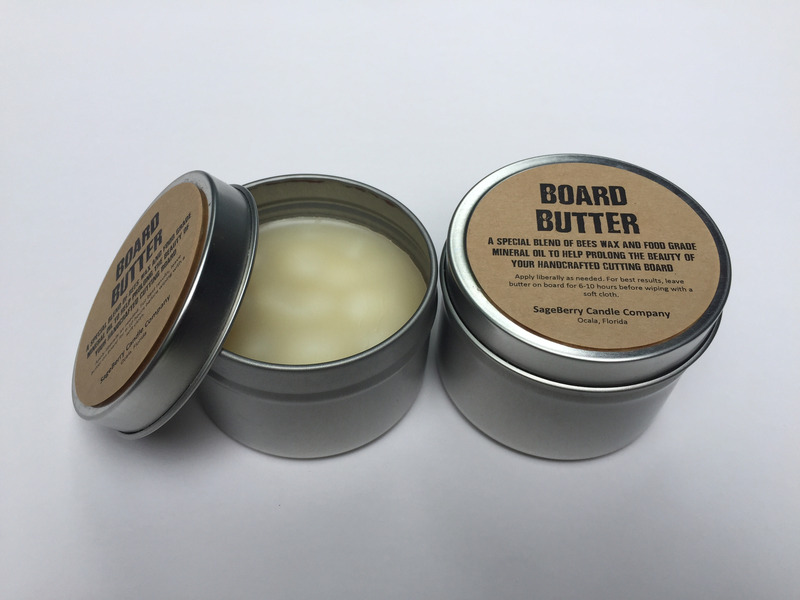 Apply Board butter liberally as needed. For best results leave on Board for 6-8 hours before wiping with a soft cloth.